INFANT milk formulas and health-related nutritional products are key growth targets for north-western milk processor Lakeland Dairies as it recorded a 28pc surge in revenue to over €769m. It’s milk pool surged to over 1.2 billion litres as it processed a full year’s milk supply from Northern processor Fane Valley following their strategic merger. Lakeland Dairies group chief executive Michael Hanley said they would continue to target opportunities across infant formulas, dairy proteins and health-related nutritional products. He pointed out the group already supplies 240 products to over 80 countries worldwide with firm routs to market already in place. Mr Hanley singled out the greatest growth potential lies in Asian, Malaysia, Thailand and China with a year on year growth expected in the region. Lakeland reported group annual revenues for 2017 were up 28pc to €769.8m, up from €601m in 2016. This yielded an operating profit of €16.8m, compared to €7.2m in 2016. Profit before tax was €15.9m in 2017 and the co-operative closed the year with a 15pc increase in shareholders’ funds at €117.6m. Earnings before interest, depreciation, tax and amortisation (EBIDTA) were €32.6m, increasing significantly from €18.9m in 2016. 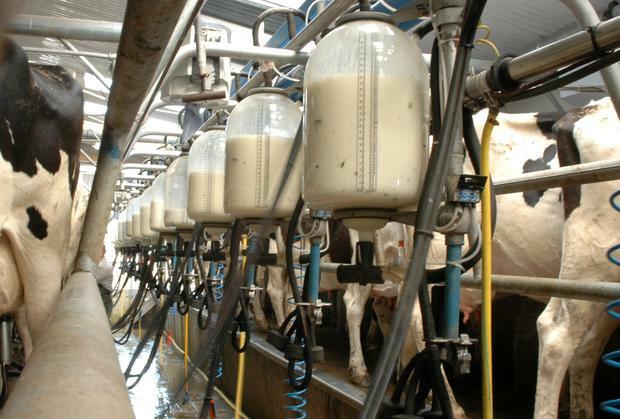 “Trading conditions were helped by a reduction in global milk supplies and product availability. We were able to take advantage of these conditions through our efficient processing capabilities and worldwide market presence, achieving satisfactory results,” he said. The processor pointed out the “heavy lifting” has already been done on their investment in stainless steel following the €40m investment in their third milk drying plant at Bailieboro in Cavan. They expect that milk producers will continue to expand by 4-5pc annually over the next five years, with over 200 new entrants since 2013. It’s food Ingredients revenues increased by 32pc to €468.4m in 2017, up from €353.6m in 2016. The Bailieboro site produced record volumes of over 200,000 tonnes of milk powders and butter products for worldwide export during the year. The food service division saw revenues increase by 23pc to €239.8m in 2017, up from €194.1m in the previous year. The major Lakeland processing centres at Killeshandra and Newtownards continue to increase output year on year, producing record volumes of butter products, ice cream, cream and cream blends. The processor said the key markets such as the UK, Middle-East, Europe, Asia and China performed well against a backdrop of volatile commodity input costs and intense competition. The poor weather conditions aw sales of feed increased to over 200,000 tonnes and 25,000 tonnes of fertiliser. It drove agribusiness revenues up by 16pc to €61.7m in 2017, up from €53.3m in 2016. Mr Hanley said they have been working with farmers since the start of the year to help alleviate fodder shortages. He said farmers were used to long winter periods in the north-west but this had been “exceptionally wet” and they were “under pressure”. He said they had located fodder in the south-east towards the start of the year but were now importing haylage, maize silage and hay from the UK as most farmers in their catchment area had indicated they had supplies to last until around April 15.